I know what you need before you even ask. In Matthew 6, Jesus is instructing the listeners on how to pray to their heavenly Father. We don't have to stand on street corners shouting prayers out loud so everyone can hear us and we don't have to spend endless hours in repetitive babble thinking that somehow that will influence God. God is a good Father and He is simply looking for His kids to talk to Him. 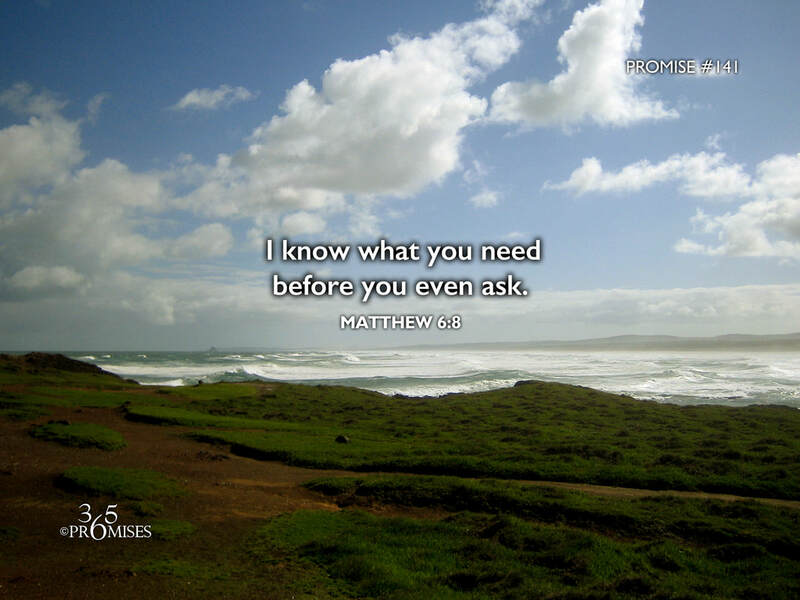 Jesus tells us in this passage of Scripture that our God and Father is so attentive to our needs that He actually knows what we need before we even ask Him for it! We don't have to shout to get His attention! We don't have to spend hours in vain repetition to convince Him to listen! He is already listening... even before we pray a single word! What an awesome Father we have! He is loving, He is good and He is kind. He knows what you need before you even ask! That doesn't mean we shouldn't ask though. He loves when we take time in our own prayer closet just to talk to Him. Anytime... night or day!